Daniel and his three friends had the ability to stand firm in God in a pagan culture. 2) We either be a thermostat or a thermometer. We are called by Jesus to let our light shine before people so that they will want to glorify our Father in Heaven (Matthew 5:16). Jesus reminded us we are in the world, not of it (John 17:15-16). But God still wants us to thrive in Babylon! But how do we live in the world and not become part of it? Firstly, recognize that Babylon is not just a locality, but a mentality. I want to expose how Satan operates. Satan says, “I’m all about you but God is all about Himself”. This lie of Satan comes in different versions. Read Genesis 11:4-9. When we follow a way other than God’s way it produces confusion in our lives. God wants to be involved in our lives. In Revelation 17:5 and Isaiah 47:8-10, we see God judging a Babylonian mentality. Living for self and not looking to God. Babylon is self-indulging! If it feels good, do it! It’s a narcissistic life style. A belief in our feelings. The greatest expression of love is protection! God protects us from what He knows will destroy us. This lie lowers God to our standards, and it makes us think we know how to run our lives and our society better that He can. Let us remember that everything God put in His word is for our best interest and not His! Satan says, ‘God wants too much from you.’ This is a Babylon mentality. In Daniel 4:4 Nebuchadnezzar spoke about his comfort and prosperity. He was admiring himself. But God intervened and abased Nebuchadnezzar’s exalt (Daniel 4:25-26). When we acknowledge that Heaven rules, it will work out for us. But Nebuchadnezzar did not listen – he mocked God until sanity was restored. “After this time had passed, I, Nebuchadnezzar, looked up to heaven. My sanity returned, and I praised and worshiped the Most High (Daniel 4:34-37). Note: When God humbles us, He does not leave us there. “my honor and splendor were returned to me…” Nebuchadnezzar realized the true King. 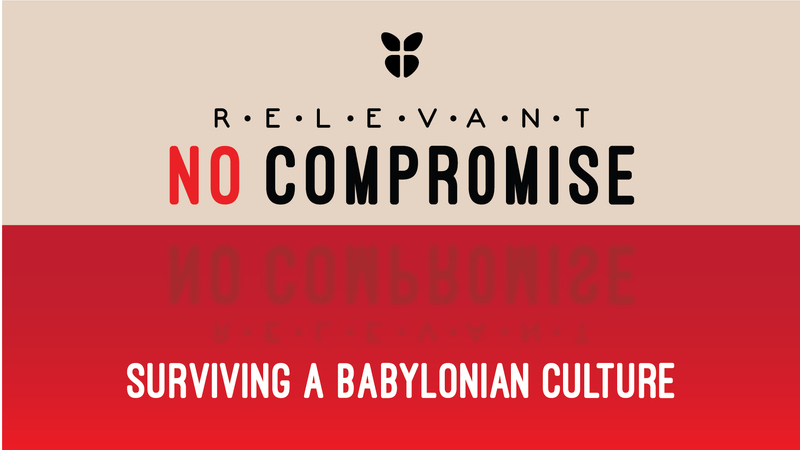 There are 3 “I wills” we must acknowledge in order to survive any ungodly culture, or a Babylonian culture. Not just Sundays! In my whole life. Not only in my private life – also in my open life. The world does a lot of exaltation of their stars when they go to sport games and concerts. But when we exalt our God, they call us fanatics! People may expect us to celebrate and shout for a team who does not even know our names and be silent with a God who knows us personally by name and who saved and gave us joy and eternal life. We need to acknowledge that everything that we have and are belong to the Lord God Almighty. We will be faced with either humility or humiliation. Insanity, like it happened to Nebuchadnezzar, it can happen to anyone who has the Babylon mentality. Humility is not thinking less of yourself, but it is thinking of yourself less. God doesn’t leave you down there – God will bring you up. Remember – the man on his face can never fall from that position – therefore stay low, serve God, serve people, make it all about Jesus. Let sanity be restored Lord, in Jesus’ name!